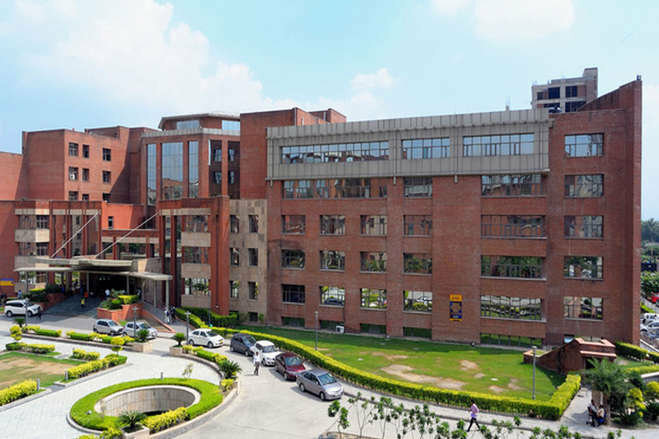 Amity University is one among the best universities in India for offering online MBA courses and provides 14 different specializations. Top experts who have good career in the management field have designed the course curriculum and update it yearly as per the requirements in the industries. The entire syllabus covers all the important features of management such as the quantitative techniques, accounting, current trends and knowledge of IT. The students are provided with case studies to understand the present management problems. This distance MBA program provides online mode of education so the students have to spend about 7-10 hours in a week. Along with the distance MBA program it also provides Certificate in Digital Marketing Professional Program. The basic requirement for obtaining admissions in Amity is to have good English Language knowledge. The students should have a graduate degree from recognized university i.e., 10+2+3 years and 40% marks in UG. Students who have the eligibility as mentioned above can apply for this program by filling up the application form with the required documents and fees. Scholarship opportunities are also available to the students with 60% marks. Candidate can apply and submit the form online by submitting the fee online and uploading the required documents. Buy Application Form – Buy Application form from Amity information center/campus. Fill it and submit it with required documents along. Very up-to date study material and Industry ready-valid curriculum. Softcopy of assignment to be submitted making it easier for long distance candidates. The candidate must possess sufficient knowledge and understanding of ENGLISH Language. Students whose first language is not English must have completed three years of Academic education under English medium. Graduation degree of minimum 3-year or 4-year degree from a recognized international university. You should have minimum 40% marks or equivalent Marks in Graduation. Candidate must have completed 12 years of formal schooling along with graduation from a recognized university. The Admissions for the above mentioned programs are purely based on Eligibility criteria. Candidates need to check criteria properly before applying for any desired course. The duration of the program is 2 years whereas the registration of the participant is valid for 4 years. The candidate willing to enroll in AMITY Distance Learning MBA program needs to fill their application form and get them registered, but first before a candidate fills the application form he/she needs to pay attention and read the eligibility criteria in a thorough manner. Given below are the few very simple steps through which a candidate can apply for Management Programs such as PGDBA, PGDITM, PGDIB, PGDHRM and PGDCRM programs. One can also buy form from the Amity Campus or information center by paying form fee then and there and only submitting required documents. International students can apply online and attach required scanned copies of documents asked and also should provide a valid email id as it will be further used by college to contact them. Candidates can know their Admission status by inserting their application form number; also known as ‘My Admission Microsite’ and can check the status of their form. Application form number is unique number printed on an individual Application form. NOTE: Application Form will not get submitted in the absence of the required documents. 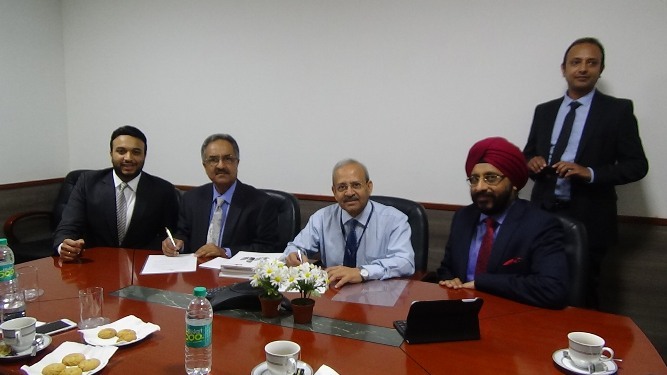 MBA from Amity University Distance Learning is a 2-year degree program which is valid for 4 years so that student can take their time and finish the course. 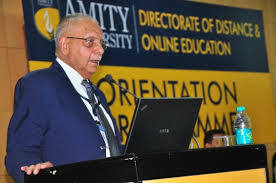 Faculty of Amity comprises of Industry experts, to provide exposure and give idea about the current industry. The interested aspirants can find the detailed structure of the course under the Distance MBA programs specialization , Post Graduate Diploma Management Program (PGDMA) offered by Amity Distance Education. MBA from Amity Distance Learning also allows students to choose from add-on study materials. as per their convenience and comfort plus there is no pressure to finish the assignment or test as everything works according to the comfort of student and for the student. Easy online admissions process, online marks sheet generation, online 24/4 support is making amity distance learning a very good embark in the field of distance learning. The interested candidates can find the detailed structure of the courses under all the Distance MBA programs i.e., Distance MBA areas of specializations, Post Graduate Diploma Management Program (PGDM) offered by Amity Distance Education. Distance MBA from Amity Distance Learning is the foremost first choice for distance learning as Amity School of Distance Learning is the only distance learning University present with affiliations and accreditations from International Universities and is global. 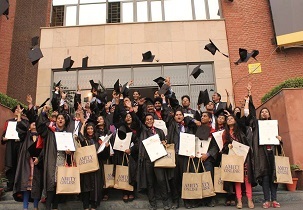 Further Distance MBA from Amity is Ranked 4 in DNA Indus Learning Survey. 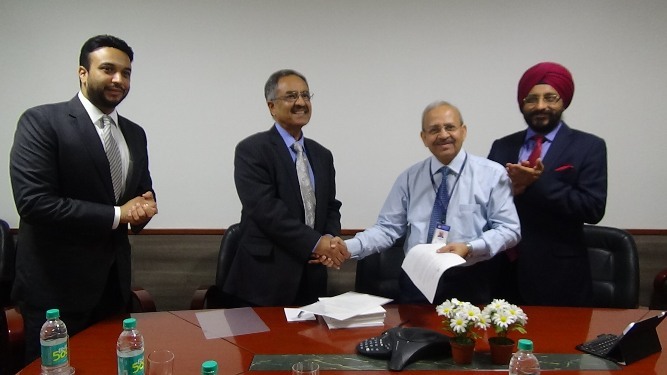 Amity is the very first private University with ISO Certification Over the year Amity has become number one choice for the correspondence and Long Distance MBA. 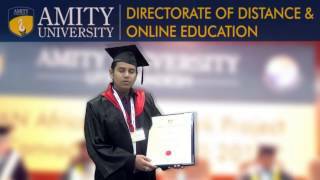 All the Distance MBA and Post-Graduation Diploma programs provided by Amity Distance MBA are University Recognized Programs. Interactive live virtual classes are conducted online everyday by highly qualified professors. Facility is available to generate online mark sheet to keep check about the performance. Very economical and convenient crash course available so it can be handy. Provides Rich Multimedia oriented interactive e-book, plus have user friendly LMS and Learning Platform. Assignments can be submitted in soft copy version for easier way. Use of case studies and examples to understand mechanism of corporate management problems. 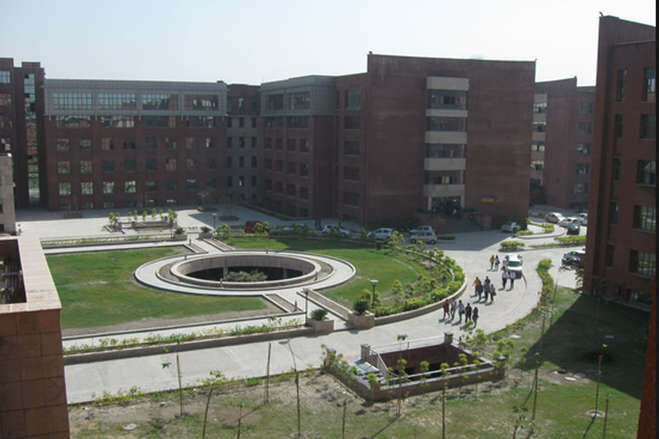 Amity Center located in various cities can be used by students enrolled in Long distance programs. The course covers almost all the main business theories combined with practical knowledge sp that a student can develop knowledge and skills in real-time management and business decision-making. The Distance MBA program is a very geared to equip learners with easy and flexible patterns of thinking and behavior to help them succeed as future workers in global multicultural business environments. The program will benefit candidate seeking to develop skills, improve competency, and build expertise in the subject. Hello sir fees kya h aapke yaha mba ki 10 12 aur graduation sab mai English medium hi chaiye boar? Are you Interested inAmity Distance MBA"? Please provide the following details.